But the developer pulled the plug on the project during the recession after completing and selling 355 units at an average price of $300,000 and ceased further construction. 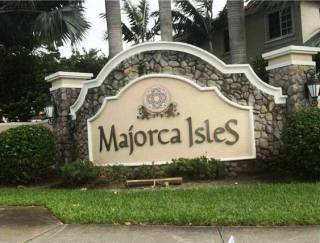 In 2012, the Majorca Isles Master Association declared bankruptcy, claiming Horton employees who had doubled as the HOA’s board of directors had not collected fees from unit owners, failed to keep proper financial records and cut amenities that had been promised. Developer D.R. Horton has reached an $11 million settlement with the homeowners association of the Majorca Isles community in Miami Gardens. D.R. Horton appealed the judgment and the parties reached the $11 million settlement on July 7. “The Majorca Isles community has been suffering since 2011,” said Barry Mukamal, co-managing partner of the accounting firm KapilaMukamal, in a statement. “The settlement completely rights the ship, provides to the homeowners all of the resources to physically restore the community and establish the necessary reserves ensuring the future viability of the Majorca Isles Master Association.